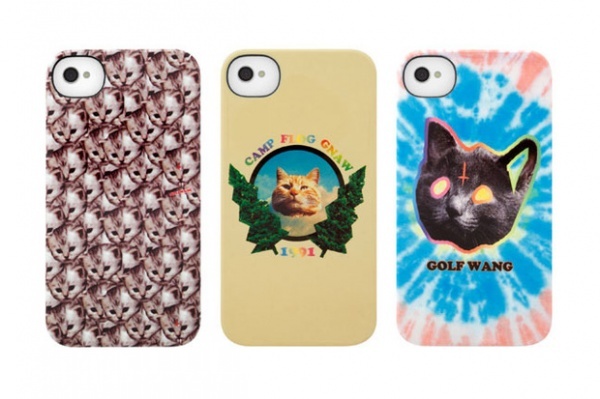 Building off the success of the recent OFWGKTA Carnival held in collaboration with Incase, Odd Future have teamed up with the Apple-favored accessories purveyor for a release of iPhone 4s Snap Cases. The cases are adorned with the crewâ€™s trademark visuals including the all-over-print cat motif, a tie-dye case as well as a ‘CAMP FLOG GNAW’ cream-colored case. The cases are available now in the Incase Online Store. Check out a look at the OFWGKTA Carnival below.